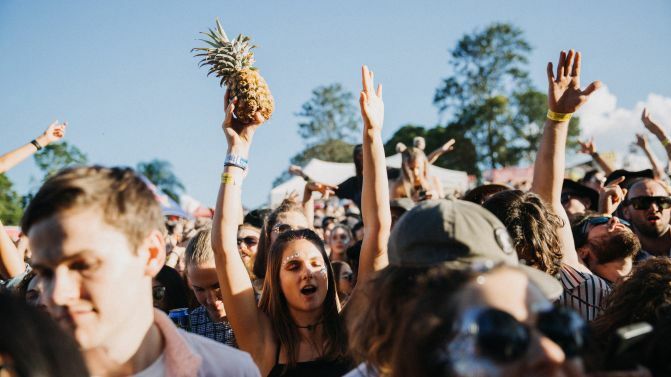 The Sunshine Coast’s Big Pineapple festival is making its grand return in 2019, and this year’s lineup is one of their biggest and best yet. Headlining the event are Australian EDM duo Peking Duk, NZ pop powerhouse Broods and festival mainstays PNAU, along with Vera Blue, Thundamentals and Karnivool. Also on the lineup are the likes of Tkay Maidza, Mallrat, West Thebarton, Laurel, Hatchie, Wafia, Touch Sensitive, Confidence Man and way more. Big Pineapple 2019 will be taking place in Woombye and it’s all going down on Saturday, 25th May. Check out the full lineup and ticketing details below. Pre-sale opens 9am Wednesday, 13th February. Must register here by 3pm Tuesday, 12th February.